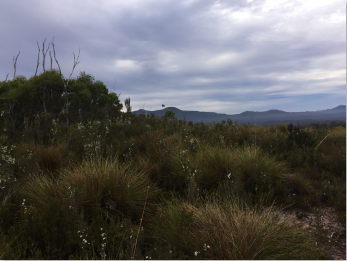 Examining the evidence for rare fauna - especially carnivorous marsupials - the Tasmanian tiger (thylacine), mainland Tasmanian devils and mainland Eastern quolls, but also unusual birds and other fauna. Expeditions - in search of the Tasmanian tiger and other rare fauna. 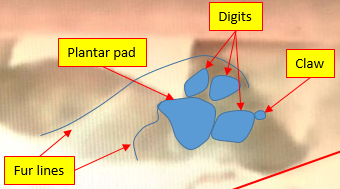 New insights into the photographic evidence for the 1990 Adamsfield thylacine has identified the subject of key photographs and strengthened the case for the tiger persisting into the 1990s. In 1984 Kevin Cameron took five photographs of an animal matching the appearance of a Tasmanian tiger - in Western Australia. Cameras collected and re-deployed, that 2013 nest re-visited, hair samples collected, footprints photographed and an audio recorder deployed. This is a labour of love, so the migration will go slowly. Start browsing right right where you are. This new site will link to the old site for anything I haven&apos;t moved across yet. The new engine running WLMD is much easier to use and publishing articles is much faster. Watch this space for a continually growing library of resources and information relating to Examining the Evidence for Rare Fauna - especially Tasmanian tigers. Also watch the Where Light Meets Dark Facebook Page for news alerts, updates and discussions.